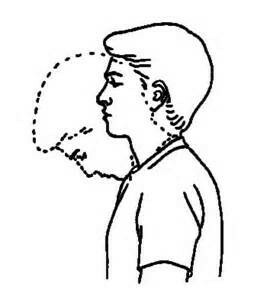 Gently bend your head forward while bringing your chin toward your chest. Stop when a stretch is felt in the back of your neck. Hold position for 15-30 seconds. Return to starting position. (Neck in midline position). Repeat above stretch 5 more times.